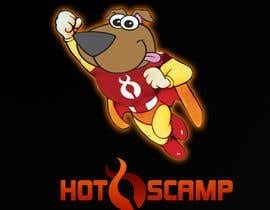 Exciting Superhero design Contest - great prize and more work for the winner. Hello, kindly check my entry #60 . 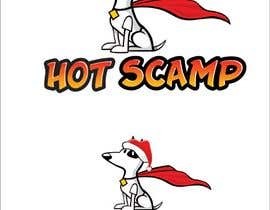 I decided to make a all age friendly human character since a lot have made dog variations already... But if there is more time, I will try to make animal characters as well. One thing though, I made my entry using adobe photoshop, so I wonder if a large resolution psd is okay with you instead of AI? I can convert the design to AI though, but it will take a while since I am well versed with photoshop, but not with AI. I like the Idea, i think you could add the bold lines like mako and my #36 . it is looked powerfull with the claws try orange for the skin. My last word is may be, try put on santa attribute, i don't think its wrong to do it by our faith. Getting blown away with some of the effort that people are going to for these designs. Some that really stand out as ones that tick a lot of our boxes. Anything that is rated 4* is the right idea for us. 3* designs, we are so amazed at the effort and quality of the work, but they sadly dont quite fit with what we have in mind so far. I will try and give as much feedback as possible as the competition starts to draw to a close. I know what you mean, but thats not really what I meant. The images at 4stars have a quality to them that are actually appealing as a character to all ages. Not just a kids character or an adult character. They fit very well with our brand vision. I'm back, how do you think about my rendered version? Also entry #30 , basically the same superhero design, but different technique. 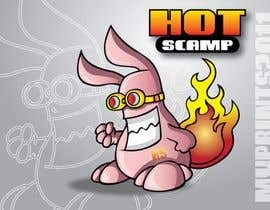 Also the new HotStamp symbol. Regards. Hello, please check #29 . If you need, I can change it more simle. I know it may be right for you..., but It does not begin if I do not try it. Any feedback would be great appreciated. Loving the originality of 14, but its not quite right for us. We appreciate the effort gone into the character created by edzDOODLES, but again its not quite right. Leading the way with crisp clear modern images - are 19,20,26,27. More like this please folks. See MY Designs. #24 , #25. You can still see the Stock-Photo watermark on the characters. Original work only please. Yes, we like this design for the Character. Also like the superhero border around the website name. Couple of points - Can it be a little more friendly, rather than snarling? We like the cape. Perhaps a collar with HS on the collar tag? Any chance of giving it more depth like a Pixar model? The logo - We like the border, but not the font. 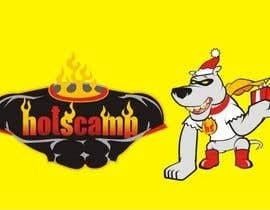 The website name is HotScamp (No S on the end). And we dont need a strapline, just the name of the site. okay, I'll have it rendered right away, well i don't quite afford 3D style. but I'll get you more depth in Photoshop (TM). I went for a fun superhero revealling the logo under his cape. I don't know the intended colour and theme for the new site so I left it blank for now. If you are interested in where I'm headed with the design please let me know which colours you would like to see it in. Oh...I also do animated banners and such!! Ok, so we are getting some nice designs through now, and now we are beginning to understand more what we want, as we see the designs come through. 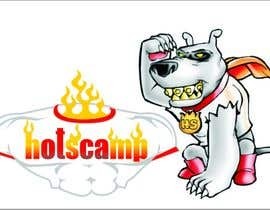 *We have decided we want to change our Original HotScamp logo - So please incorporate HotScamp into the design. Its basically a character and logo in one website header we are after. 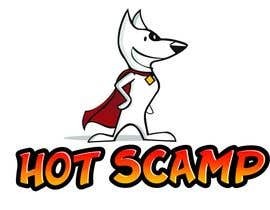 *We like and appreciate the effort that has gone into the entries so far, but we are leaning towards a rendered image due to the quality of the end product. This also means that the winner should be able to manipulate the image for our banners (Which we will pay more for). Something similar to Pixar animation stuff would be the right direction. I will give some feedback on individual designs next. This is interesting competition. I've designed super heroes before for clients and I'm definitely interested in this contest. You gave clear instructions in project brief and in comments. There' just one thing, most of the desings/info gears towards male superhero. Is there a gender preference? I think my design could do with or without the chest emblem... I have a copy without. Also, i didn't realize that i submitted the image size so small. I thought about adding arms to seem as if the hands were resting on hips, which would be just a few lines, but thought I'd submit it like this. What do you think. I could submit a larger size if you would like to see it better. It wouldn't be until later though, because I'm on my way to my part-time job. This is Mighty Mouse - but is a good example of the sort of polished look we are wanting. Again, it can be animal, human or a cross between. 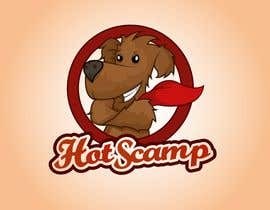 The name is Hot Scamp - So incorporating that into the character, and incorporating our logo from HotScamp.com (or remake our HotScamp logo if you like) would also be good. I should add that Im no expert in these matters, but the image will need to go on our website, and as such may need to be scaled etc to different sizes. 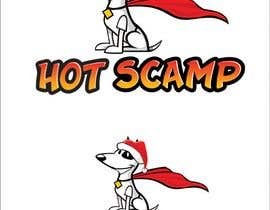 So the format should be capable of scaling without loss of clarity etc. A couple of comments to help designers. Number 1 isn't quite right for us, as its a bit too serious - it needs to be a little more cutesy perhaps. We want a character, it doesn't have to be human, or an animal, it can be a cross between, like number 1. We are open to all ideas. I originally rejected Number 3, due to the fact it depicts a child superhero, but I decided to unreject it as a point of reference for people. This style of picture is very nice, high quality etc, but the design brief hadn't really been followed with Number 2. Very nice image. Cutesy, yet dynamic and has character. But not right for us, due to the design brief not really being followed.